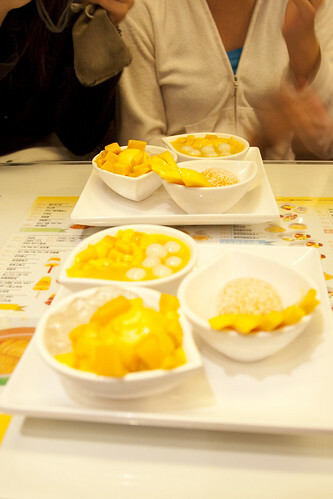 Mango Paradise in Hong Kong!! First stop! ﻿Hui Lao Shan (read from right to left) mango desserts! These shops selling mango goodies are everywhere. The “Starbucks” of Hong Kong! 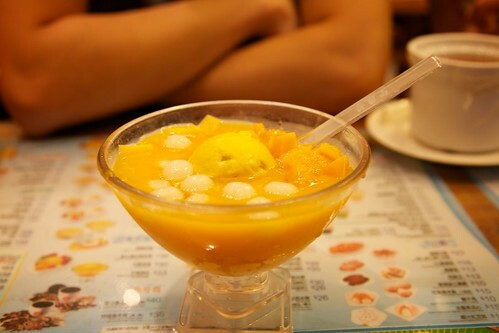 They offer a wide variety of delicious mango desserts, hot or cold, with rice balls, mango juice, bird nest, fruits, ice cream and whatever goes with mango! They do sell some snacks like curry chicken, carrot cake in XO, braised chicken wings for the picking. My last trip to Hong Kong made me visit this franchise at least once every day. This was the one with mango + rice balls + mango ice cream in mango juice. They use fresh mango for the juice! Now you know why I kept eating this for days. Mango Pomelo Sago with Ice Cream and Fresh Fruits. 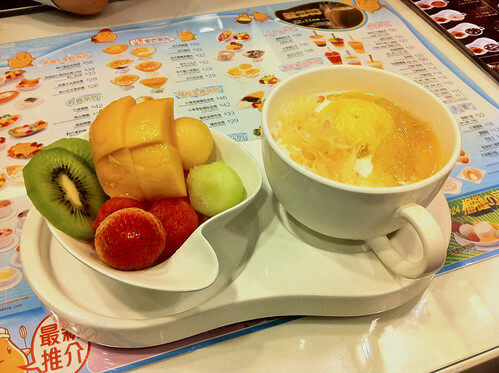 Another alternative would be this combination of mango ice cream with pomelo and sago complemented with fresh fruits. So, if you are craving for something sweet, and got kinda sick of all the chocolate cakes and sugar stuff, do give this a try. There are LOTS of branches around the streets. Personally, i have seen 3 same shops along a street junction, so finding them wouldn’t be that hard unless you are swarmed by the masses.